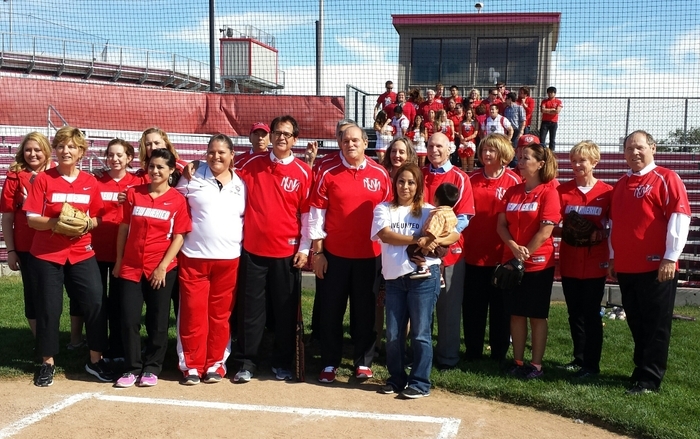 Recently, President Robert G. Frank and other UNM heavy hitters swapped jackets and ties for Lobo tees and assembled at the Lobo Baseball Field to star in a United Way fundraiser video. 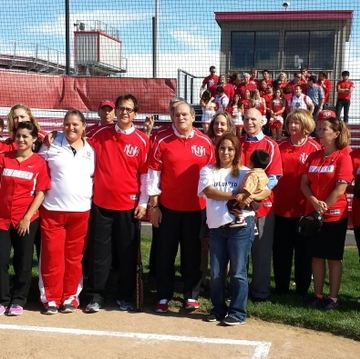 After pep talks from UNM Head Baseball Coach Ray Birmingham, and Head Softball Coach Erica Beach, the team brought their best game to promote the launch of the 2014 UNM United Way campaign that runs from Monday, Oct.13 through Tuesday, Nov. 21. 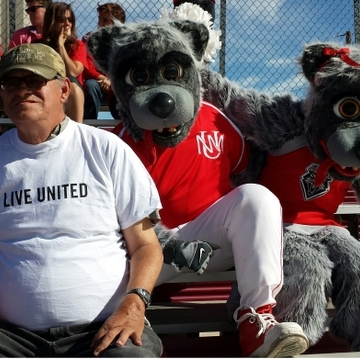 UNM has a strong tradition of supporting the United Way of Central New Mexico. Historically, UNM's faculty, staff and students have demonstrated tremendous generosity in support of those most vulnerable in our community. Arianne Shields and her two-year old son Gabriel also participated in the video. They receive assistance from CLNkids, a non-profit organization funded by United Way. Shields, who has left a domestic violence situation, said she wanted to show her gratitude and support for the program helping her get back on her feet. Field Your Team to Live United! 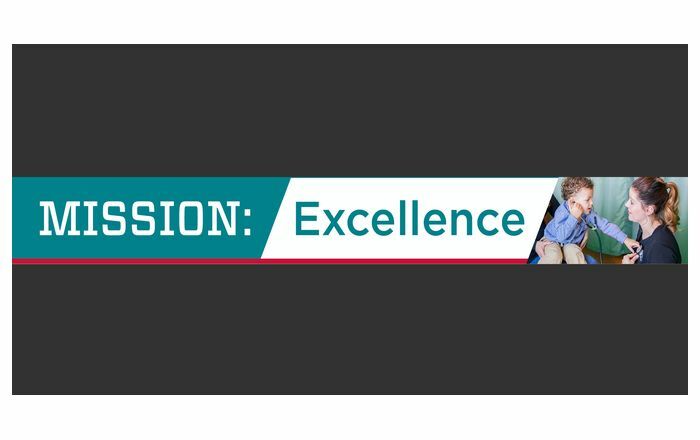 from UNM Health Sciences Center on Vimeo. Following are five funds highlighted this year, to add to whatever other fund(s) you may wish to donate to via the UNM United Way campaign. There are over 2,000 UNM funds where donors can designate their contributions. For a specific fund, school or program, visit UNM Funds. This year’s campaign is spearheaded by Ryan Cangiolosi, HSC executive project director; Vanessa Hawker, HSC associate budget director; Nicole Elzy, HSC V.P. 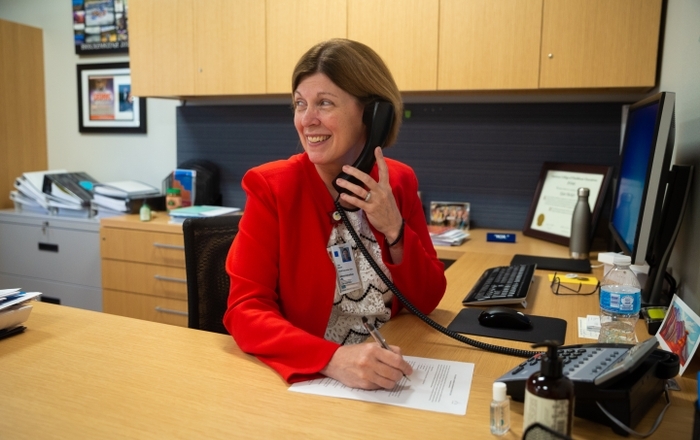 Health Sciences Office and Kenedi Hubbard, strategic support manager in the Office of the President. Honorary chairs are Paul Krebs, vice-president, athletics; Steve McKernan, CEO, Health Sciences; Marjori Krebs, associate professor, Dept. 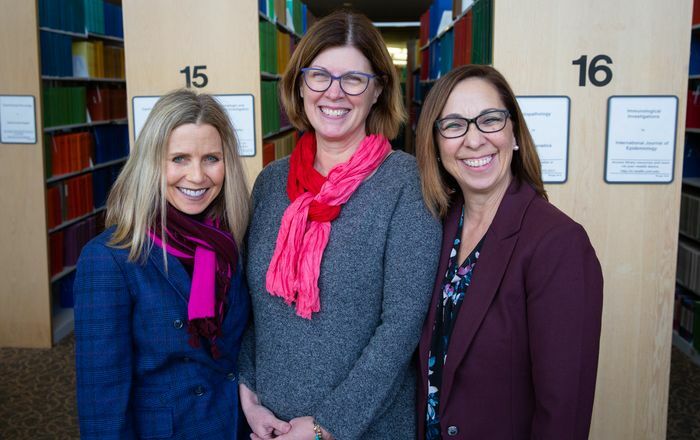 of Teacher Education; Connie Beimer, special assistant, Strategic Initiatives; Jamie Silva Steele, president and CEO, UNM Sandoval Regional Medical Center and Ava Lovell, HSC, senior executive officer, finance and administration. For a pledge form, visit UW pledge form or ask your department coordinator. For more information, contact Campaign Coordinator, Kenedi Hubbard at (505) 277-1540 or email unitedway@unm.edu.